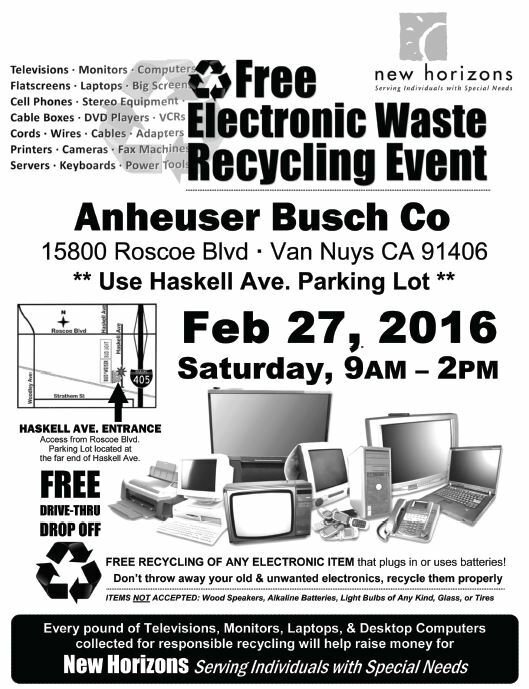 On Saturday, February 27, from 9am to 2pm, New Horizons and our friends at Anheuser Busch will once again join together and offer FREE drive through/drop off recycling of any electronic item that plugs in or uses batteries. So while you’re fulfilling your New Year resolutions to “declutter,” don’t throw away your old and used electronics. Recycle them properly with us.